Home » Analysis/Opinion » Happy Holidaze, Weed Readers! But wait… what does 4/20 even mean? Why do so many folks in (and out) of the cannabis culture, reference this number to no end but couldn’t tell you what it meant? For most, it’s used as code– using 420 to reference cannabis was believed to have originated as a police code, then adopted as a counterculture. Other users believe the reference was started by the band, The Grateful Dead. Word of Deadhead meetings, aka Grateful Dead concerts, was spread through flyers. One story in particular mentions a flyer bearing the info, “We are going to meet at 4:20 on 4/20 for 420-ing in Marin County at the Bolinas Ridge sunset spot on Mt. Tamalpais” (source). So while the term was established by a group of high schoolers, it’s obviously made it’s way across the country and other parts of the world, as a catch-all term for cannabis culture. As I said, the uprising of cannabis counterculture in the 90s and its use of ‘420’ was helped along by The Grateful Dead and its fan base. Members of The Waldos had close relations with the Dead, so really, each part of the origin story does have some truth to it. Each piece of lore or information ends up weaving together to form a more complete envisioning of how the notion of ‘420’ started. Most people celebrate the “holiday” by spending it with their friends, consuming plenty of cannabis, and for some, it’s become a political opportunity to advocate for legalization. 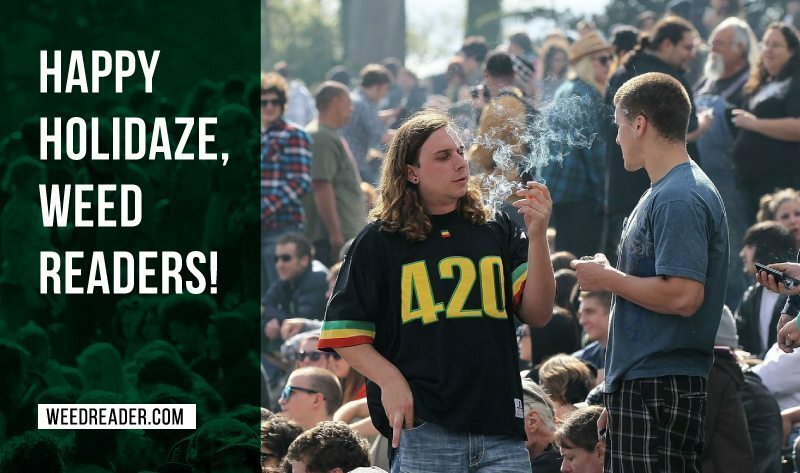 Many cities, especially in states where cannabis is legal, tend to have some sort of gathering to observe the day, often at universities or parks. If it interests you, do some searching and see what’s going on in your area. If not, find your own way to celebrate! Have your first bowl or joint outside, share it with friends, or make someone’s day and hide some nuggets in easter eggs! Whatever you decide to do, be smart, and be safe. Know the laws of your town/state on cannabis before you go lighting up on the sidewalk. Know your rights if you’re stopped by police! The perception and reputation surrounding cannabis users is something important, if we want to get any closer to legalization, or in general, acceptance of its use in everyday life. So, act accordingly–your cannabis use does not relieve you of being respectful or having some awareness! All in all, let tomorrow be a day of celebration, relaxation, and feeling grateful that such a wonderful plant exists. Happy holidays! –-hope this is what you guys meant, it’s not that polished but feel free to edit what you don’t like!